Hey crafty friends! I’m so glad to be back today bringing you something new. I have partnered up with some of the other design team members to bring you a Fabscraps artist trading coin blog hop. I had never heard of these before the girls approached me and it was fun to try something completely out of my wheelhouse. 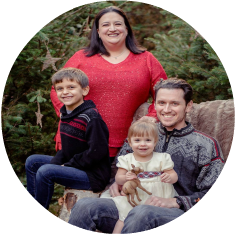 You know though that no blog hop is complete without a prize! There is one FABulous FabScraps gift up for grabs. The Winner will be chosen at random on the 28th of September 2018 from the comments left on ALL THE POSTS. Our crowned crafty will be announced on the FabScraps blog for all to see. I had made artist trading cards before, but had never heard of an artist trading coin. The other ladies were very gracious in teaching me. You start with a circle that is 2.5 inches in diameter, and then alter from there. 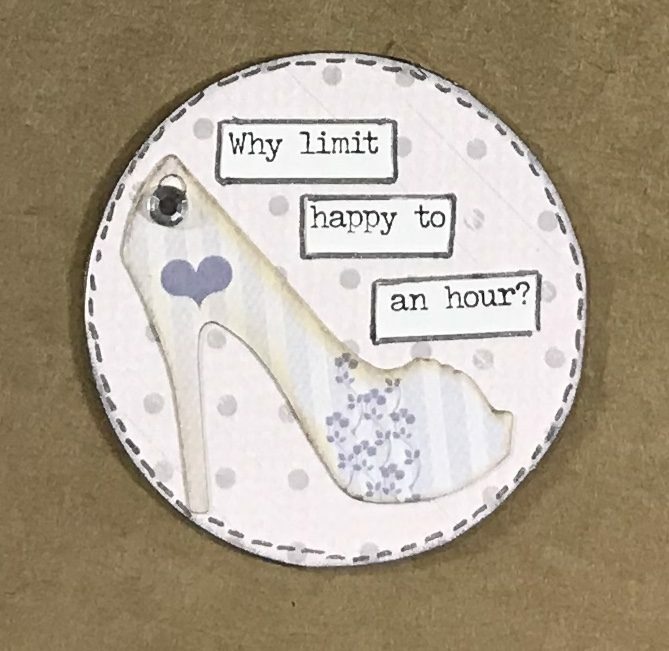 I used the Fabscraps collection C103 called coffee confessions for my coins. The first one I used the clear stickers that I placed on white paper to make them stand out from the patterned background. This is how I tend to use clear stickers because otherwise I feel like they get lost. 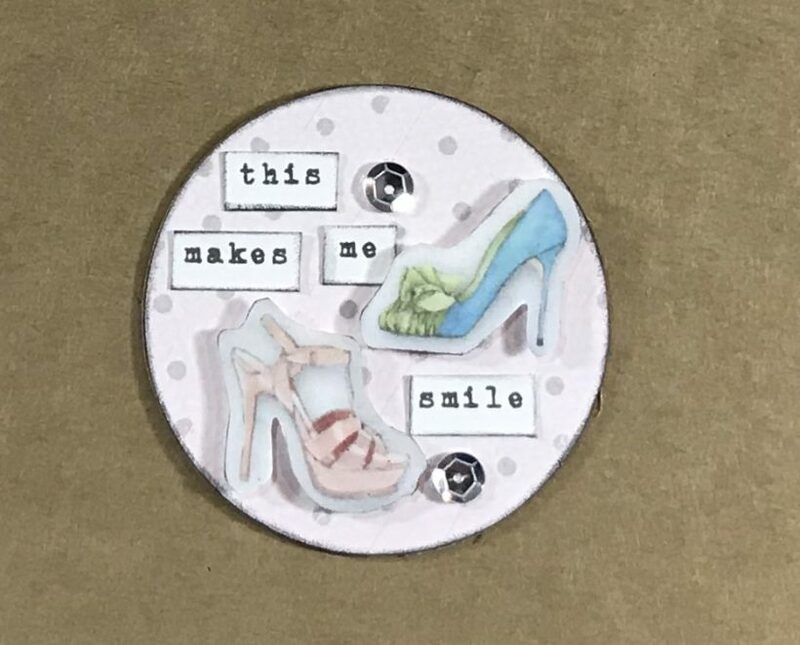 For my second coin I used some die cuts from the carders pack, and added some doodling and tiny word stickers. You don’t have to add a million layers to make something really cute. Don’t get me wrong I love a good layer, but I felt like anything more distracted from the die cut. And then last but not least is what I’d call the center of my trio. 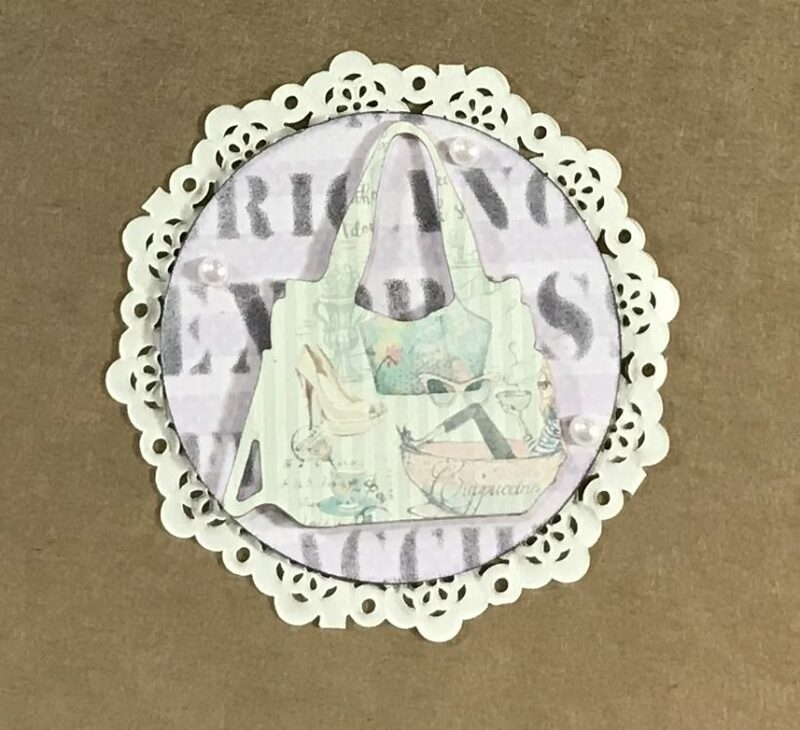 I added a doily to the card so it’s bigger than 2.5, but I figured artist freedom allowed that 🙂 To add texture to the background I used the stencil from the collection with some distress ink, and then popped up another die-cut from the carders pack. I hope you have enjoyed seeing my newest paper adventure, and I’d love to see what you do if you try your hand and creating some. Don’t forget to hop on over to all the other ladies and leave them some love. Not only will you get loads of inspiration you’ll have the chance to win the giveaway! Really, who doesn’t love a giveaway 🙂 Until next time….stay crafty! Hey crafty friends! Welcome to another layout reveal! 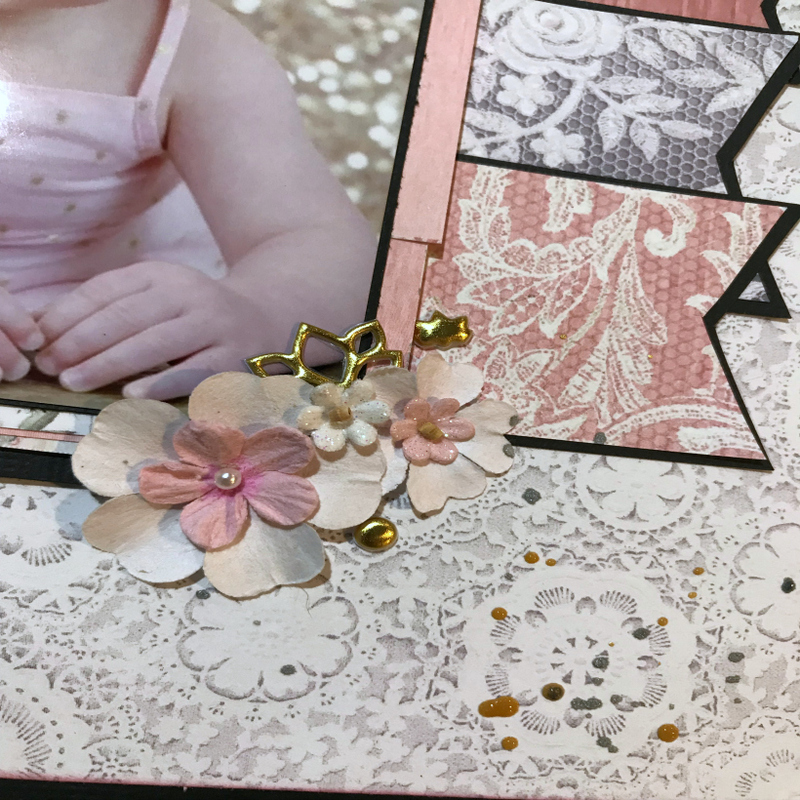 This time I combined two things to create this one year old birthday girl scrapbook layout. 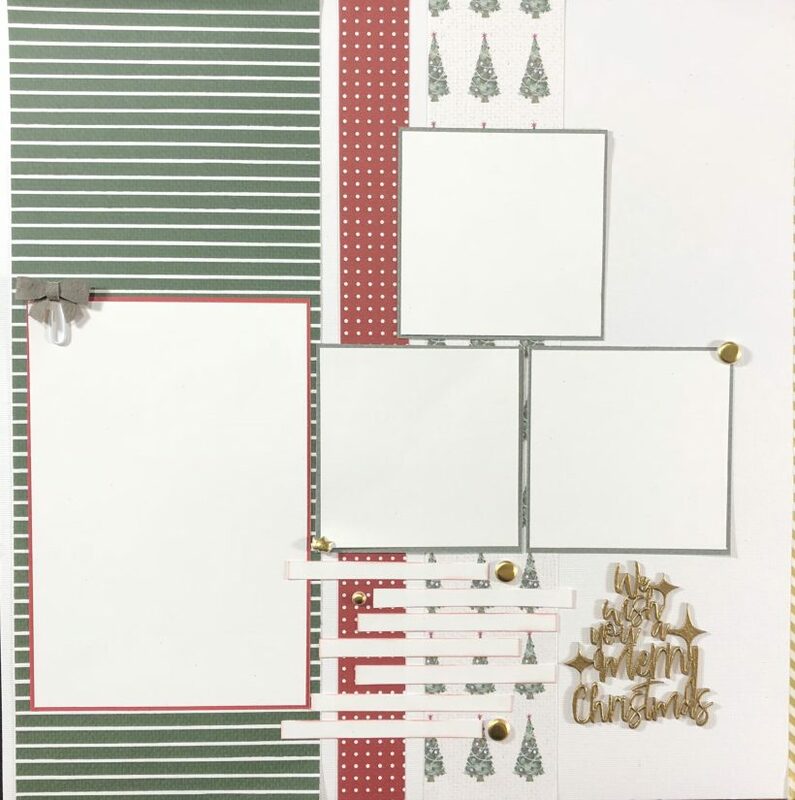 I used the tic tac toe challenge from my Southern Girls Challenge team, and the new A Moment in Time collection from my FabScraps team. For me they combined to create a lovely layout for our girl. On the tic tact toe board the first line was bling, lace and white. This photo shows you all of that in one shot. 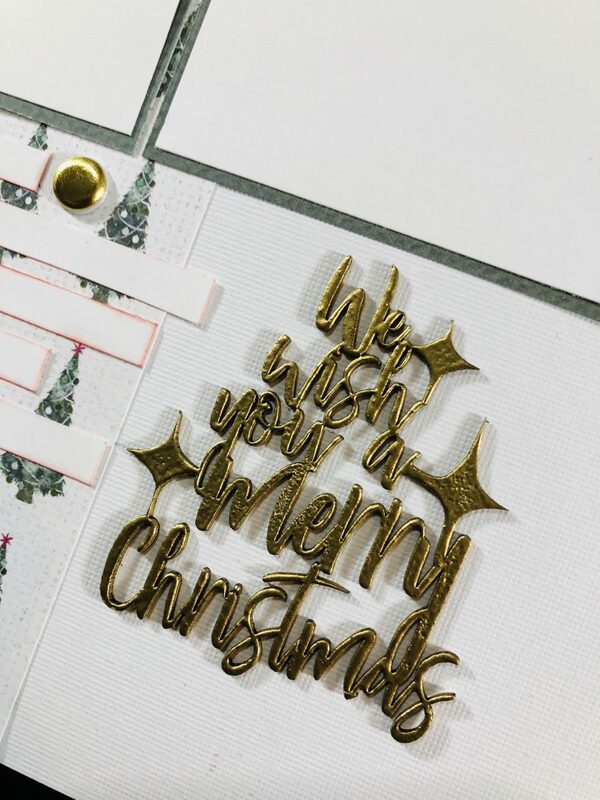 I embossed the FabScraps piece with gold embossing powder, snipped it apart to use in two places, and back it in black…bling! The doily is obviously white, and my background paper looks like lace. I also have two other papers that look like they have lace on it behind the photo. 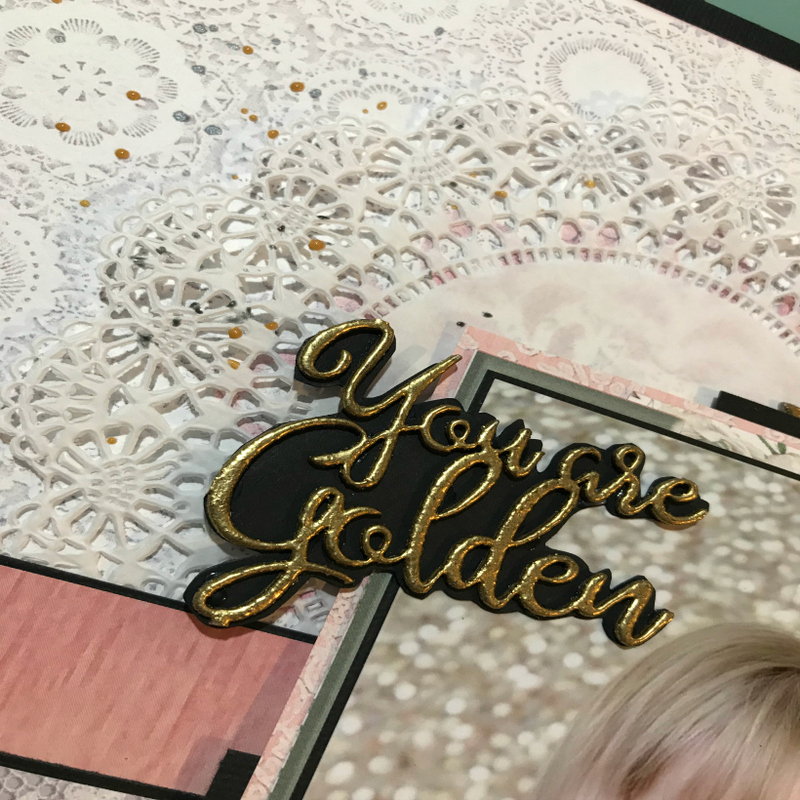 I backed all my layers with black cardstock, and the layout as a whole, because it made it pop off the lace paper so nicely. I also added more bling with gold enamel dots and gold ink. The flower embellishments are form Hobby Lobby and I’ve had them in my stash for about two years so I’m not sure if they would be available still. I really need to expand my stash of flowers as little miss gets older. So for the final reveal…. What do you think? It’s adorable right!? 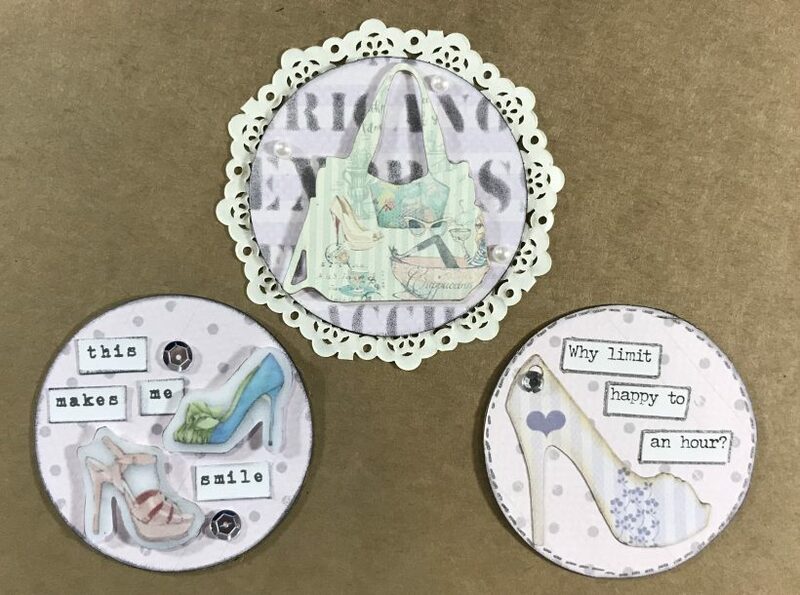 I hope you’ll head over to both the Southern Girls blog to check out the challenge, and to Fabscraps blog to see what all the other ladies have created with this collection. Stay tuned to my youtube channel next week as I’ll have more projects shared there using this collection. Until next time….stay crafty!